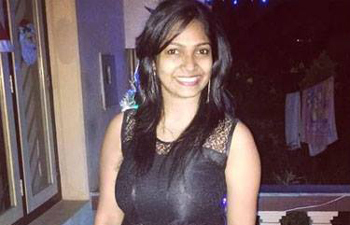 Mangaluru, June 13, 2016: Shwetha D’Souza (21), an alumnus of St Aloysius College who was employed in a firm in Bengaluru lost her life in a tragic road mishap in the capital on June 12, Sunday. It has been gathered that Shwetha who was critically injured in a bike accident, succumbed in a hospital. She was the daughter of Frank and Lethicia D’Souza from Vamanjur in the outskirts of Mangaluru. Let the almighty give the strength and courage to the family to overcome the pain. May her soul rest in peace. Sometimes we our self be the cause for the incidents. If she had wear a helmet she would have sustained with minor injuries i feel so. But a tragic end of the young woman. May her eternal soul rest in peace.